The most delectable Key Lime Pie with a dark chocolate crust and swirls of Key Lime and Raspberry Sauce at the Southernmost Beach Cafe. When I returned from paradise, I looked high and low for Key Limes until suddenly, one day, I found them -- at Super Target! Key Limes are really less of a lime and more of a mini-lemon. Look how cute they are! They actually taste like a cross between a lemon and a lime. Maybe that's what makes them so refreshing! As I thought about what to make with this diminutive citrus of paradise, I ran across this delicious sounding lemon cake recipe from Ina Garten. Anything she makes gets five stars in my book. She is seriously gifted and works her recipes to perfection. I adapted the Lemon Cake into Key Lime Cake which became the base of these Key Lime Cake Pops. The recipe called for 1/3 cup of zest and 3/4 cup of juice. In the world of walnut-sized key limes, this is A LOT of zesting and A LOT of juicing! Feel free to use bottled key lime juice and lime zest, unless, like me, you want to re-create the aura of surf and sand and twinkling tropical lights - then feel free to spend like 45 minutes zesting and juicing 20 to 30 little baby key limes. Your choice. Here's the beautiful cake coming out of the oven. Now crumble up the beautiful cake and drizzle 1 1/2 (14 ounce) cans of sweetened condensed milk on top. (Think Key Lime Pie!) Mix together. Use the leftover 1/2 can to make a condensed milk glaze for Chai Tea Mini Cupcakes! Put on food gloves and roll spoonfuls of dough into little balls. The gloves help the cake mixture from sticking to your hands. Dip the end of a stick into melted white chocolate and insert into the balls. FREEZE! Dip the cake balls into melted white chocolate. These had one green candy melt added to them. I brought these delicious citrusy treats over to my skinny fashionista neighbor's fabulous party and they were a hit! 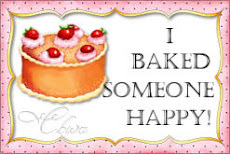 Adapted from Lemon Cake, Barefoot Contessa Parties! Mix the oil and 2 cups granulated sugar in the bowl of an electric mixer fitted with the paddle attachment. With the mixer on medium speed, add the eggs, 1 at a time, and the key lime zest. Sift together the flour, baking powder, baking soda, and salt in a bowl. In another bowl, combine 1/4 cup key lime juice, the buttermilk, and vanilla. Add the flour and buttermilk mixtures alternately to the batter, beginning and ending with the flour. Divide the batter evenly between the pans, smooth the tops, and bake for 45 minutes to 1 hour, until a cake tester comes out clean. Combine 1/2 cup granulated sugar with 1/2 cup key lime juice in a small saucepan and cook over low heat until the sugar dissolves. When the cakes are done, allow to cool for 10 minutes. Remove the cakes from the pans and set them on a rack set over a tray or sheet pan; spoon the key lime syrup over them. Allow the cakes to cool completely. Crumble Cake and add 1 1/2 (14-ounce) cans sweetened condensed milk. Mix to combine. Put on food gloves. Roll the cake mixture into 1" balls and place on a cookie sheet. Insert cake pop sticks into melted white chocolate and insert them into the cake balls. Freeze. 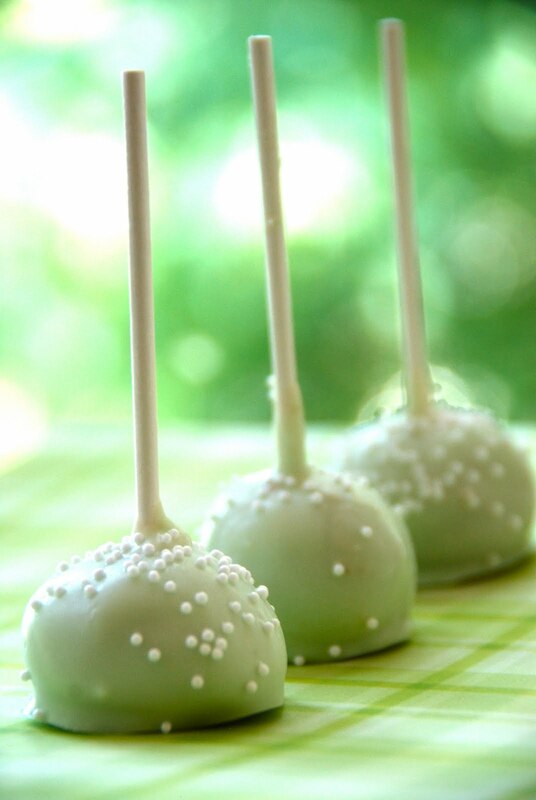 Dip cake pops into melted white chocolate and sprinkle with white nonpareils. It's fun to share ideas! 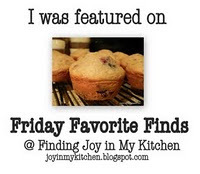 I'm linking up with the following web sites! Um, yummy! I love the photos of the limes and lemons squeezed out. I am going to have to try this. YUM! Those look delicious! We went to Key West for our honeymoon in 2009, so this holds a special place in my heart! 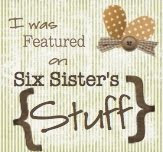 Thanks for stopping by my blog: I'm your newest follower! Have a great weekend! 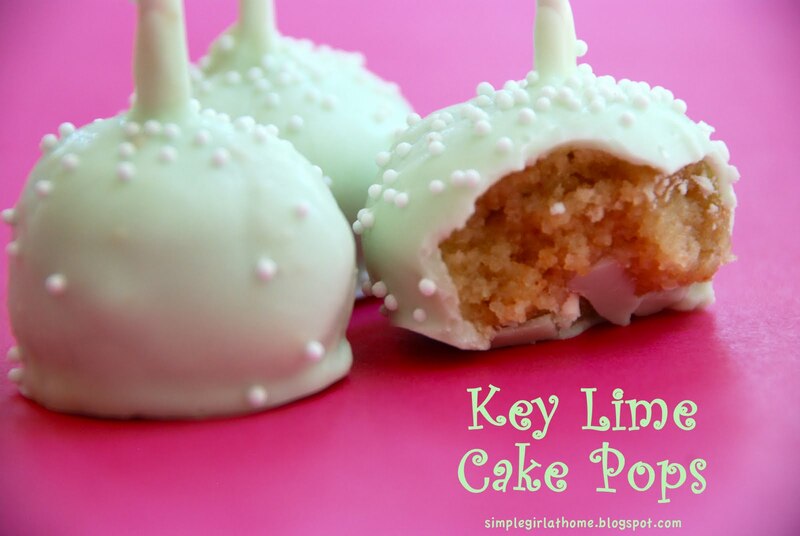 I love key lime pie- I bet I'll adore key lime cakes! Fantastic! Beautiful! I love cake pops! There's a bottled key lime juice that's a really good substitute for real. Hi Julie! What brand do you like and where do you get yours? these are beautiful! you did a great job and they look absolutely delicious! 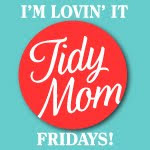 I found your blog through a link party and i LOVE it! I love to make new blogging friends! I am your newest follower and would love it if you would follow me too! Thanks! I just love cake pops, and your recipe sounds wonderful. Key lime is such a great flavor this time of the year. Sounds so good and looks so pretty! Those look delicious! I've been looking for some cake pop ideas, thanks for sharing! Yum! You got creative with these. I love cake pops. Good thinking with only adding one green candy melt. I love the color! Thanks! The color is perfect! I love key lime flavored desserts. So pretty! I'd like to invite you to share on A Well-Seasoned Life's Sweet Indulgences Sunday. Oh my goodness these look heavenly. Must try. In fact I have a bag of key limes in the refrigerator just waiting to be made into something. Love anything lemon or lime in the summer. Reese's Peanut Butter Cup S'mores!